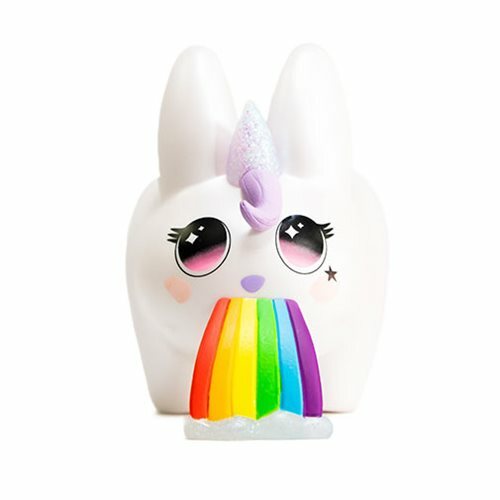 What's white, mythical, magical and always happy to see you? 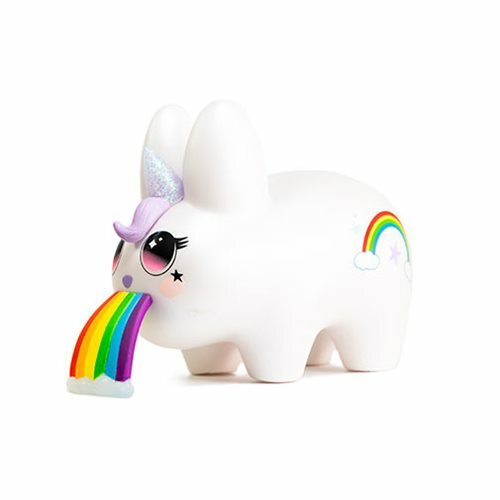 The Kidrobot Labbicorn 5-Inch Vinyl Figure that's who! 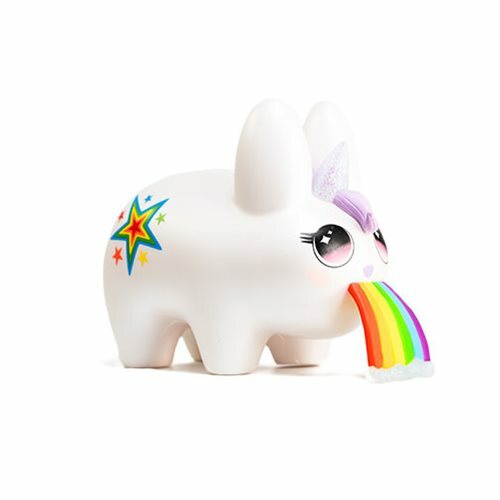 Kidrobot is full of excitement and ready to shoot glitter out of our eyes for this all new take on our Labbit. 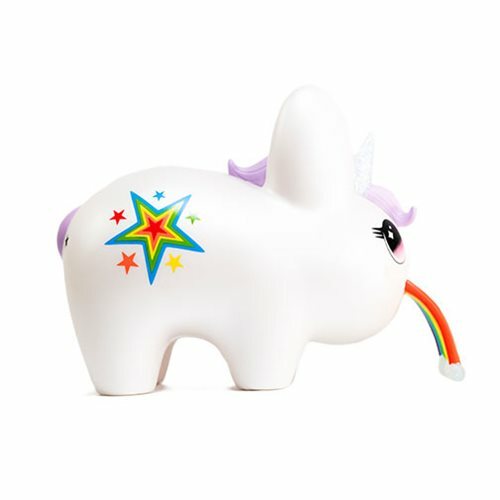 This legendary beauty clocks in at 5-inches and spreads magic everywhere with a starburst booty, glitter horn and a magical rainbow spewing from its mouth. 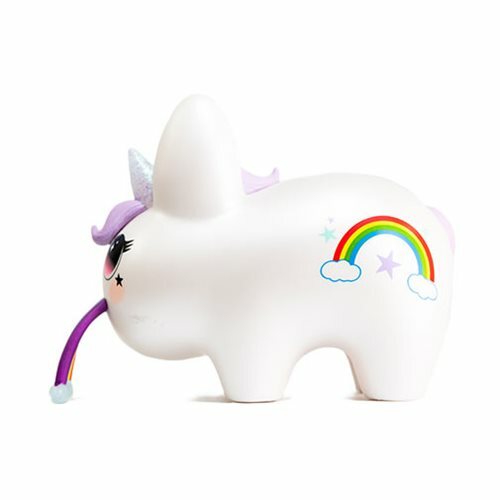 Labbit fans won't be able to resist the off-kilter cuteness when they peer into the Labbicorn's glistening eyes. 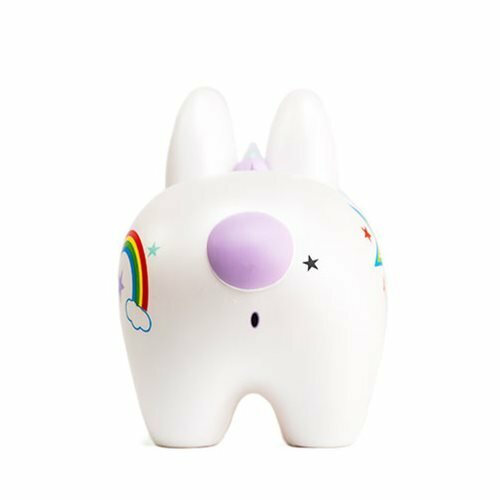 Capture yours today and add some whimsy to your vinyl collection!